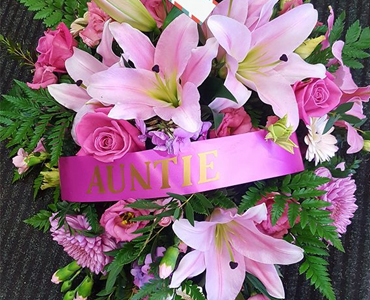 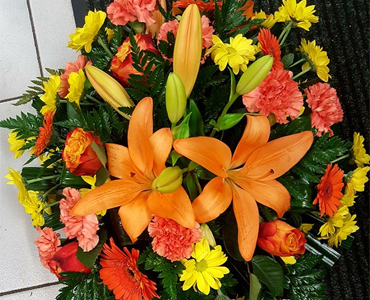 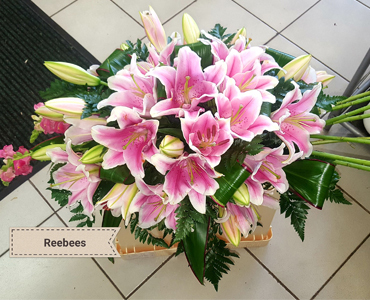 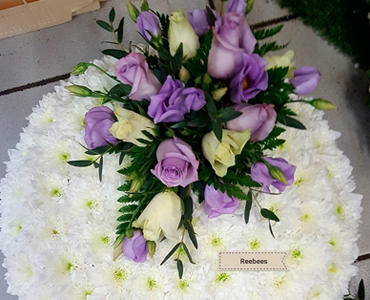 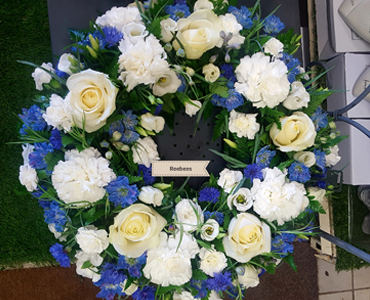 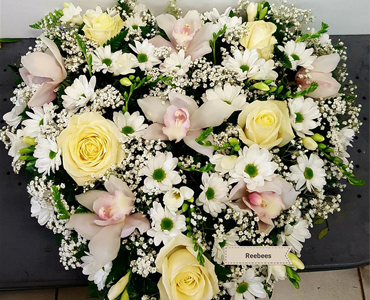 We at Reebees Florist endeavour to take as much stress out of the process for you as possible and can deliver your tribute to the funeral directors directly for you. 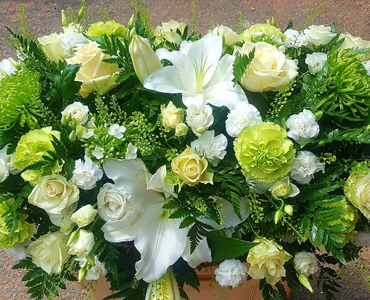 Saying goodbye to a loved one or someone you care about is, of course, not easy, but it can often be extremely fitting to pay tribute to ones you have lost by sending some beautiful flowers. 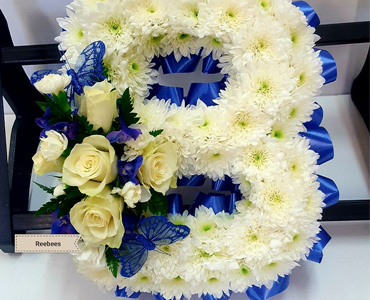 We offer a vast selection of tributes suitable for your loved ones from simple bouquets, casket sprays and wreaths to the more bespoke tributes such as letters, cushions, hearts and custom made designs including Mickey mouse and teddy bears. 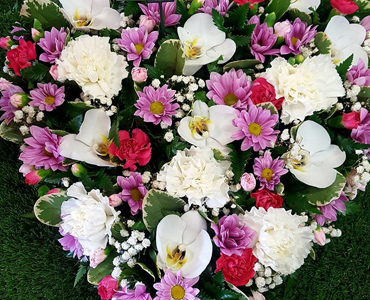 If you want something that is bespoke and special to your loved one such as a bingo card, Disney character or something as bespoke as that then please do call our expert team and we will be able to advise you on sizes and prices.